Not all healthy energy drinks are created equal. Find out how to make your vitality and taste buds sing with these nourishing, thirst-quenching recipes. Want truly healthy energy drinks? Forget the Monsters and Red Bulls of the world. Use such natural ingredients as maca root, hemp seed, and (pictured) spirulina in DIY smoothies, juices, and shakes. See sample recipes below. Monster (appropriately named!) and Red Bull might come to mind when you think of energy drinks. However, these beverages—if you can call them that—are definitely not good for your health, as described in a review published in Frontiers for Public Health. Typically, they contain excessive amounts of caffeine, sugar, artificial flavors and colors. The caffeine levels are not regulated by the FDA, which is even more concerning. They also contain curious stimulants such as guarana—also known as Brazilian cocoa. On the other hand, truly healthy energy drinks are nutritious, clean, and free of questionable ingredients. A study published in the journal Pediatrics reports that caffeinated energy drinks have become increasingly consumed by teens. That doesn’t come as a big surprise because the manufacturers’ marketing campaigns target youngsters. The addictive properties of these drinks leave an understandably bad taste in the mouths of the medical community. Moreover, consumption can be dangerous at any age, mainly because excessive caffeine can lead to addiction, serious heart conditions and even death. The Frontiers for Public Health article noted above includes this stark assessment: “Emerging evidence has linked energy drink consumption with a number of negative health consequences such as risk-seeking behaviors, poor mental health, adverse cardiovascular effects, and metabolic, renal, or dental conditions.” Read more about the dangers of energy drinks in our post Are Energy Drinks Bad for You? 3 Things You Need to Know About Red Bull, Monster, and More. What do our bodies really need for vitality and sustenance? We certainly don’t need a quick fix that can lead to addiction issues, serious side effects, or a blood sugar crash. We need real nutrition from real food, as nature intended. 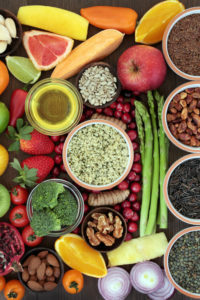 Superfoods that are rich in vitamins, minerals, electrolytes, phytonutrients, and fiber can help to nourish your body and give you the energy you need for physical and mental stamina. Healthy energy drinks include nutrient-rich, energy-boosting superfoods. There are countless examples out there—among them maca, spirulina, and hemp seeds, each of which can work as ingredients in truly healthy energy drinks. You’ll find recipes below, but first, some primers on each of these superfoods. Maca: Maca is a root grown in Peru. Since it can grow only in specific climates, it is dried, powdered, and exported for North American consumption. Maca is rich in antioxidants, calcium, phosphorus, magnesium, potassium, vitamins B1, B2, C, and E, and iron. It contains many trace minerals like zinc and selenium.It is believed that maca can help correct symptoms associated with menstrual imbalances, menopausal symptoms, lack of libido, depression, and fatigue. It is also helps to enhance strength and provide energy. Maca powder offers a smooth caramel flavor and makes a wonderful addition to smoothies and juices, not to mention cereals, baked goods, and desserts. Spirulina: NASA recently reported that spirulina may be the perfect complete food for astronauts in space! Not too shabby. Spirulina is a blue-green algae that thrives in alkaline-rich lakes. It contains an abundance of complete protein—far more than that of fish, meat, or poultry, and it does not contain any cholesterol. Also rich in iron, spirulina supports red blood cell production and muscle repair.Spirulina is rich in chlorophyll, antioxidants, and beta-carotene—it helps support healthy night vision and eye health. It is also rich in omega-3 and -6 essential fatty acids, making it an excellent energy booster. It can help you with nutrient absorption, resulting in even more energy. Plus, spirulina helps to regulate cholesterol levels and stabilize blood sugar. 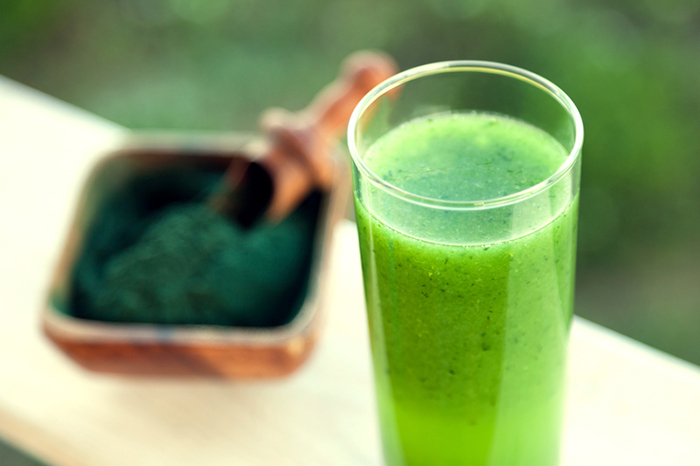 With a strong taste profile, spirulina powder is ideal for adding to juices and smoothies. Hemp seeds: The seeds of the hemp plant offer a natural and complete source of protein (amino acids), which makes up at least one-third of its nutritional profile. Hemp seeds are rich in all three omega fatty acids (3, 6 and 9), all needed for optimal brain functioning and for keeping inflammation at bay.Hemp seeds are rich in such important minerals as phosphorous, potassium, magnesium, calcium, iron, manganese, zinc, sodium, silicon, and copper. Unlike spirulina, they boast an extremely mild taste, making them an easy addition not only to smoothies and juices but to soups, stews, salads, cereals, and just about anything you can think of. amino acids, antioxidants, are energy drinks bad, are energy drinks bad for you, beta carotene, blood sugar, brain, caffeine, calcium, cardiovascular, cholesterol, cholesterol levels, complete protein, dairy, dangers, dangers of energy drinks, dates, depression, energy boosting, energy drinks, energy drinks bad, eye health, fiber, food, health, healthy energy drinks, heart conditions, honey, inflammation, iron, kale, maca, magnesium, menopausal, mental health, milk, more energy, muscle, nutrition, omega 3, phytonutrients, potassium, protein, recipe, red bull, selenium, side effects, smoothie, strength, sugar, vitamins, vitamins minerals, yogurt, zinc.